It’s been way too long since I posted and I’m dying to share with all of you guys what I did on my fun-filled week away from my Apple computer. This is a megapost. 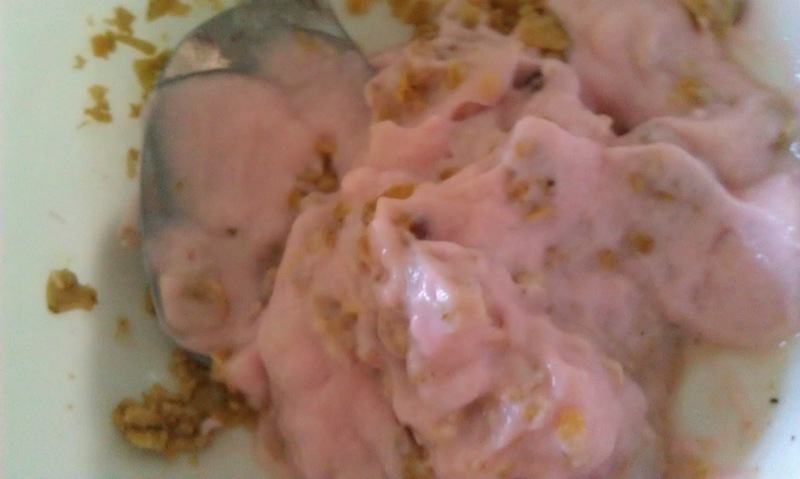 I had a variety of different breakfasts, not the least of which was strawberry yogurt and granola. Nothing beats the smooth and crunchy combo and there’s plenty of protein and nutrients in this dish that will keep you going for hours. I prefer strawberry yogurt to other flavors. I wasn’t the only one eating breakfast last week! 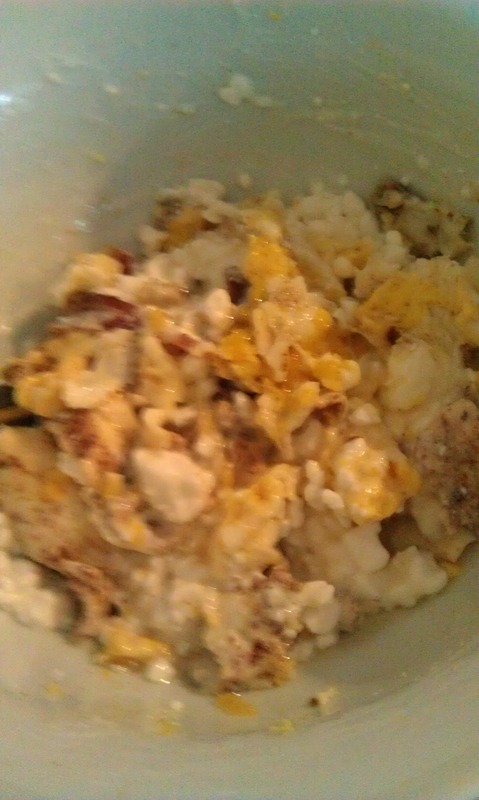 A friend of mine whipped up a quick batch of scrambled eggs, bacon and cottage cheese. 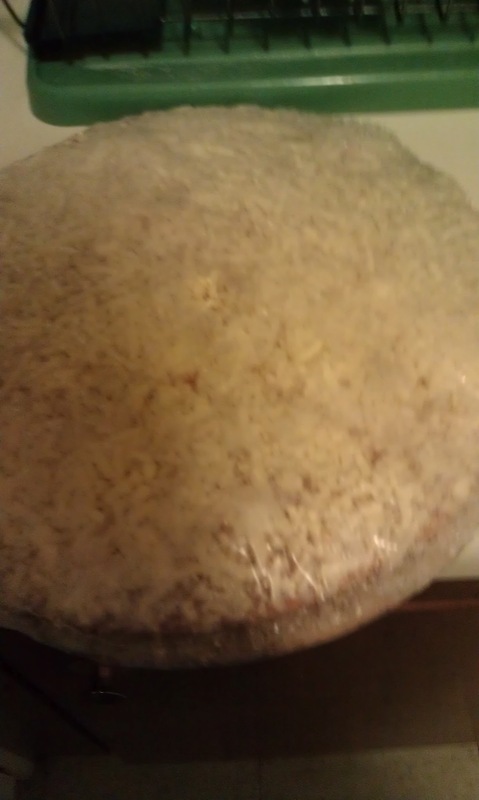 I didn’t ask for a bite because I find the practice barbaric but I could tell just from the looks of it and the smell of it that it was divine. A grilled cheese is fine and most of you would probably think there’s nothing to be done to improve upon this dish and make it dazzle. Incorrect guys. 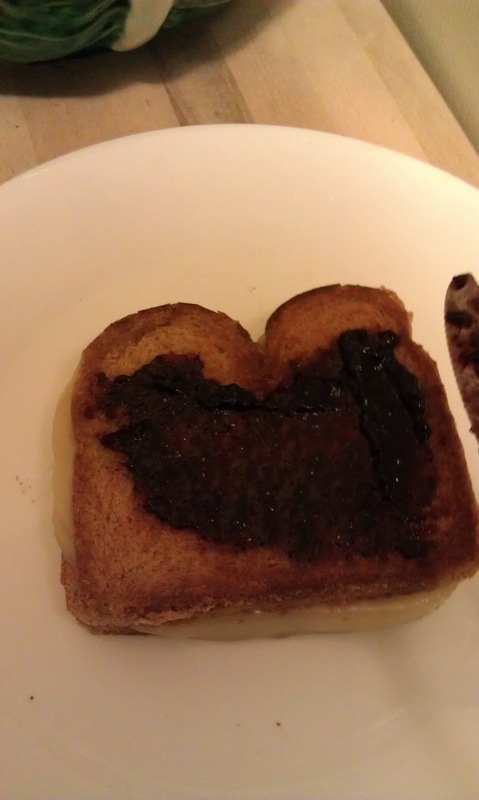 Spreading jelly over the top of a grilled cheese will add a powerful sweet balance to the zesty saltiness of the cheese. 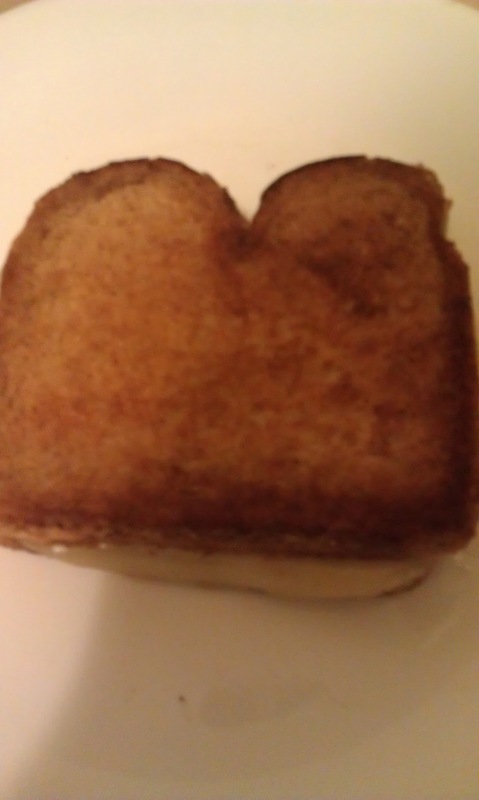 If you aren’t eating your grilled cheese with jelly you aren’t eating grilled cheese. 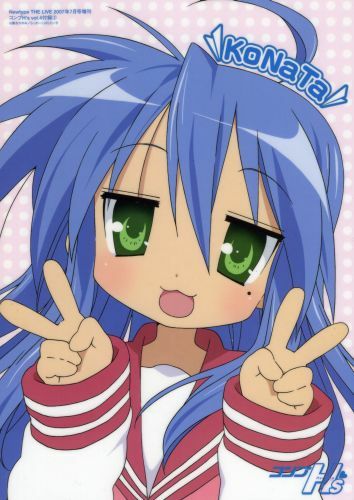 I watched an animated Japanese series entitled Lucky Star in it’s entirety. It followed the lives of kawaii chibi high school students Tsukasa Hiiragi, Konata Izumi, Kagami Hiiragi, and Miyuki Takara. The series was funny and heartwarming and made me wish that the characters of the show were my own friends in real life. I rewarded myself with a frozen pizza after confronting a gentleman on the public transit who I thought was speaking too loudly. I was just saying what was on everyone’s mind. 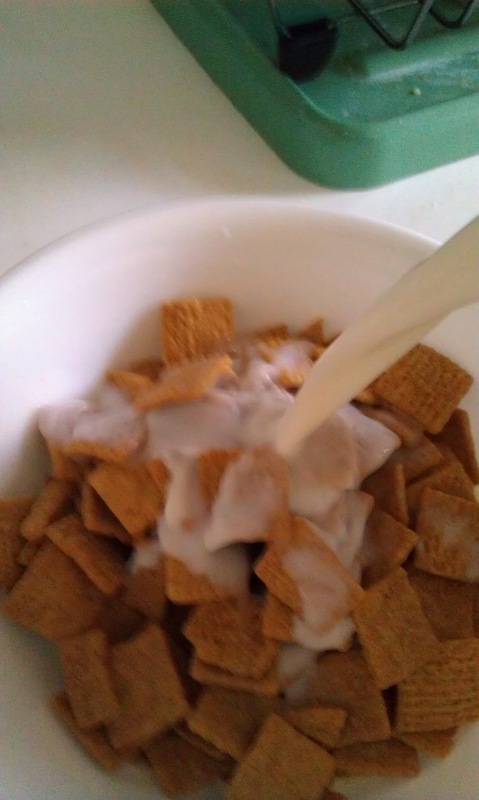 Cereal and milk is a classic dish in the same way that old books are classic literature. I buy generic cereal because they’re cheaper and tend to have better nutritional value than the bigwig company stuff. I know I would never be so careless to leave something like this out guys! 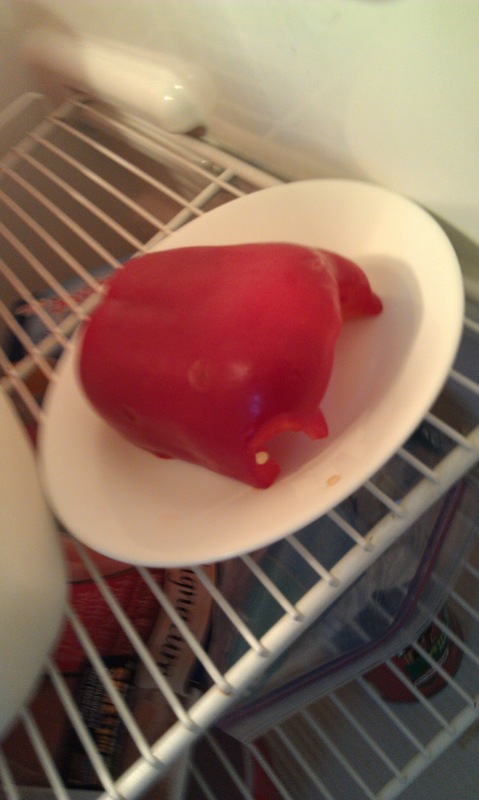 It must’ve been my live-in girlfriend. I think I might’ve mentioned her existence here before. I don’t know, in any case, I just had to share this pic! I’ll have to ask her not to do this again. 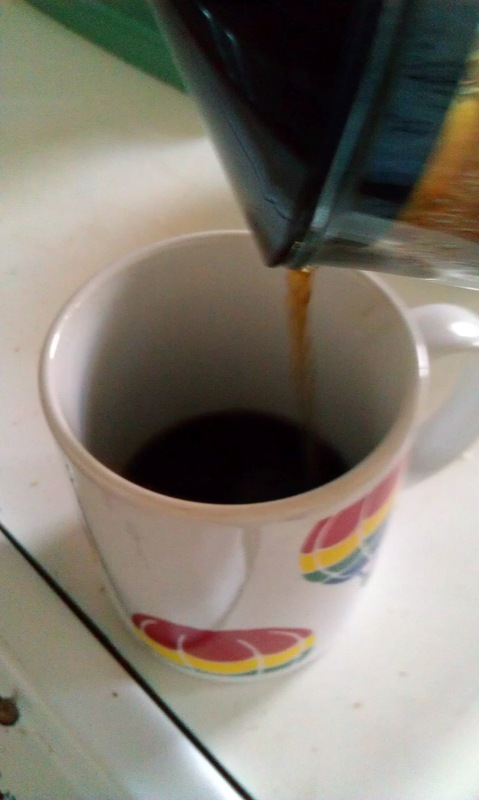 Pay attention here because I’m going to teach you what to do if you don’t want to finish all the coffee in your French press at once but you don’t want to let it sit and get cold. 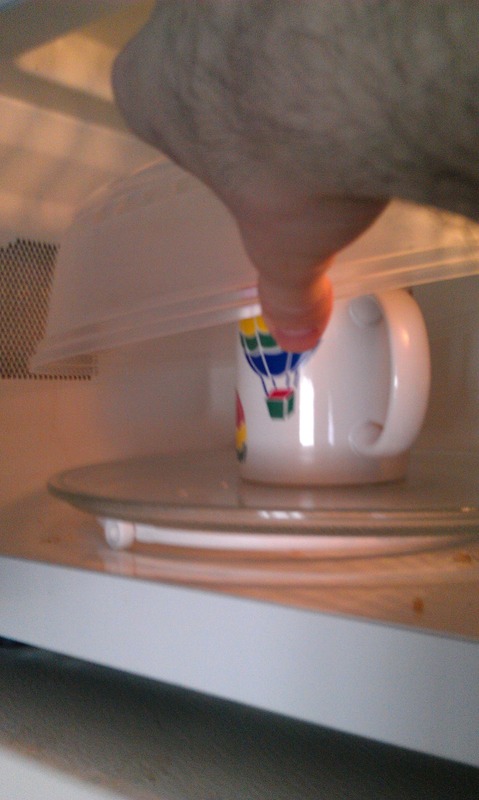 Put your cold coffee in the microwave and zap it and it’s like fresh hot coffee. That’s all for my megapost guys. Hope you have the endurance to make it through this post that’s shaping up to be just as long as those classic books! Only not as boring. Stay tuned for more great recipes and great ideas. NO way you have a girlfriend. Girls would NOT leave vegetables out like that. French press rhymes with bench press; was that intentional? I don’t know I didn’t invent french presses I just like to use them.